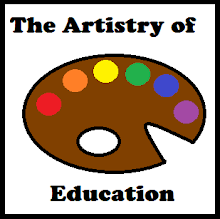 I used this activity with my students this year to review before a test. This one-page sheet has two activities. 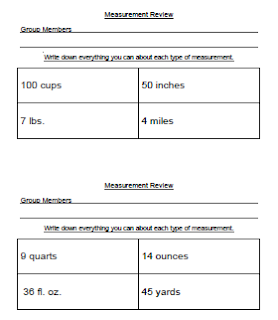 I make enough copies for small groups of three or four students and staple a half sheet to a piece of notebook paper. 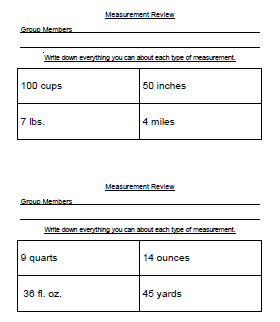 Students write as much as they can about each measurement. 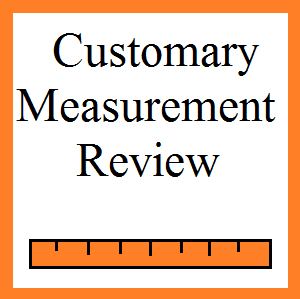 To download Customary Measurement Review, please visit this post at Artistry of Education.